While the Gulf of Paria has been particularly busy with seismic activity for just over a week, citizens can rest assured that this activity is normal as earthquakes in that zone are a daily occurrence. That's according to Acting Director of the UWI Seismic Research Centre, seismologist Dr Joan Latchman, who tells LoopTT that the earthquakes experienced over a 12-day period are within what is expected for the Gulf of Paria. 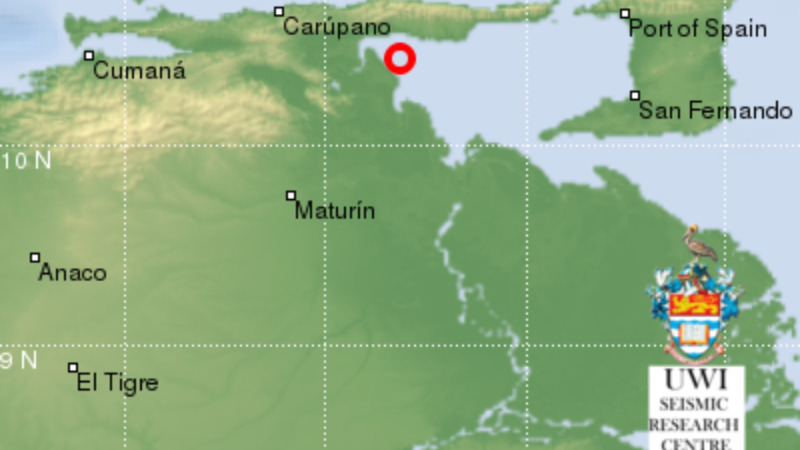 A total of ten moderate-level earthquakes have been recorded in the region of the Gulf of Paria in the past two weeks, with many smaller ones also occurring. 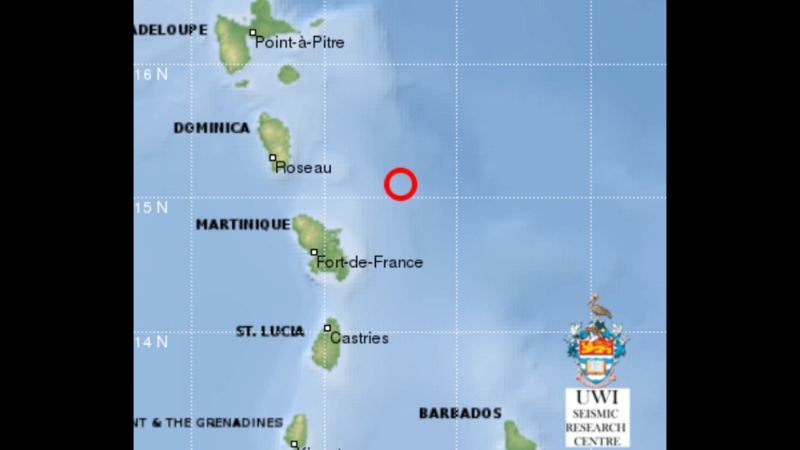 On Tuesday night, a magnitude 4.4 quake was recorded West of San Fernando. Preceding yesterday's event, on Sunday, a magnitude 4.1 earthquake was recorded. A magnitude 3.8 earthquake occurred last Friday, a magnitude 4.8 quake the previous Thursday, two nights earlier a magnitude 4.2 quake occurred, a magnitude 4.1 earthquake also occurred a day earlier - preceded by a 5.1 quake, and on the Sunday before that a 5.1 quake was recorded. Over the preceding weekend, two quakes, magnitudes 4.1 and 4.2 respectively were recorded in the area. Latchman says despite this burst of activity in the Gulf of Paria, there is no reason for citizens to be alarmed. However, Latchman warned that citizens should always be prepared for an earthquake as the Eastern Caribbean region has not yet experienced its strongest earthquake – one she explained is long overdue for the region. The strongest recorded earthquake for this region occurred on October 21, 1843, estimated to be between 8.0 and 8.5. Records indicate that the region should experience an event of this size every 100 years. The seismologist said what people should take away from this burst of activity is that it is not necessarily an indicator that a much larger earthquake is on its way, as much as it does not mean that this would not be the case. She said having a reactionary response to seismic activity is not sensible and stressed the importance of having measures in place beforehand. Latchman advised citizens to have emergency plans in place and implement routine drills so that in the event of the occurrence of a large seismic event, they are prepared. The UWI SRC has offered these answers to the most frequently asked questions from the past week following the burst of seismic activity. Q: Why have there been so many felt events this past week especially in Gulf area? A: The south-east corner of the Caribbean plate, where Trinidad lies, is a very active seismic region and we expect activity in the Gulf of Paria, which is on the western side of Trinidad, to be elevated as the area settles after the magnitude 6.9 event in August. Q: Are all these events aftershocks? A: Not all of these events are related to the 21st August M 6.9 event. Aftershocks tend to occur in the general location of the mainshock. Q: Does all this activity mean that the ‘Big One’ will happen soon? A: These events do not necessarily indicate a big event may happen soon or that the energy from these events will lessen the chances of a larger magnitude event from occurring. Q: The hot weather after the rainfall means an earthquake can happen? A There is no evidence to show that the weather or any atmospheric conditions can influence the movement of the tectonic plates below the Earth’s surface. Q: Should we be concerned with all these events? A: Yes, The important thing to bear in mind is that the region is known to have produced large magnitude earthquakes in the past and will do so in the future, therefore, preparedness is an necessary part of living with the earthquake hazard. Q: Why have there been so many large earthquakes recently in the region and around the world? A: Global seismicity had been elevated for several years prior to the mega-earthquakes that have occurred, beginning in 2004. One school of thought considers that the elevation is indicative of the overall critical loading of large scale faults in the global earthquake producing system. However other schools of thought consider that elevated seismicity is a periodic phenomenon indicative of nothing in particular. The same uncertainty would apply to the regional system. If you have any other questions, do ask us and we’ll try to help as we seek to create a more knowledgeable populace with respect to these geological hazards.